The Dartmouth Biomedical Libraries are pleased to offer iPads for checkout to Dartmouth and DHMC faculty, staff and students . 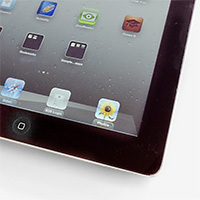 There are 5 iPads available at the Dana Biomedical Library and 5 at the Matthews-Fuller Health Sciences Library at DHMC. The availability of these iPads is part of a partnership with the Geisel School of Medicine, meant to increase the use of educational technology for enhancing teaching and learning for Geisel, the Life Sciences, and the greater Dartmouth College/DHMC community. Give one a try! See our info page or our policy for more information.